Infinity's End performing live on December 30, 1969. The first photograph was taken from the stage and it features the bassist playing guitar and singing into a microphone. 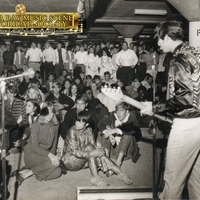 The second photograph is a close up of the drummer surrounded by audience members. Infinity's End was the first of several bands that Bollea, popularly known as Hulk Hogan, performed with during the late 1960s and early 1970s in Tampa, Florida. Bollea was in ninth grade when he formed the group, and they quickly began performing at weekend parties. Their manager was the father of keyboard player, Gary, and their costume designer was Gary's mother. 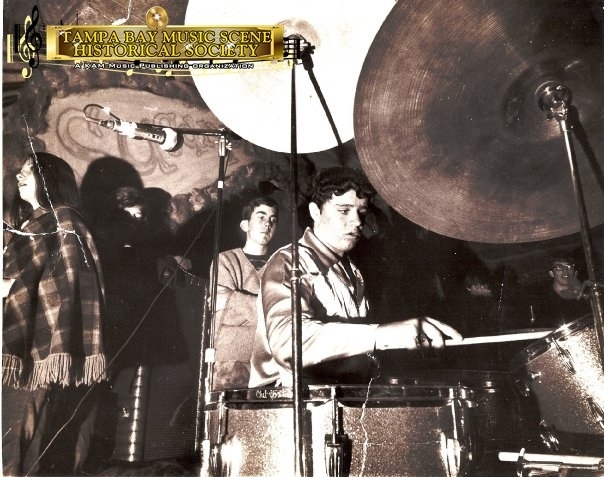 The band consisted of two guitar players, a drummer, a bassist, and a keyboardist, and performed classic rock hits of the day, such as "In-A-Gadda-Da-Vida" by Iron Butterfly and various songs by Steppenwolf. After Infinity's End, Bollea performed with the bands Koko and Ruckus, before going on to a career in professional wrestling. Original black and white photographs, December 30, 1969: Profiles: Bands & Artists, Tampa Bay Music Scene Historical Society. Digital reproduction of two original black and white photographs. http://www.tampabaymusichistory.com/resources/IE%2012-30-69.jpg. Digital reproduction of original black and white photograph. 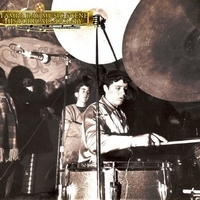 http://www.tampabaymusichistory.com/resources/IE%20december%2030%201969.jpg. Hogan, Hulk, and Michael Jan Friedman. Hollywood Hulk Hogan. New York: Pocket Books, 2002. 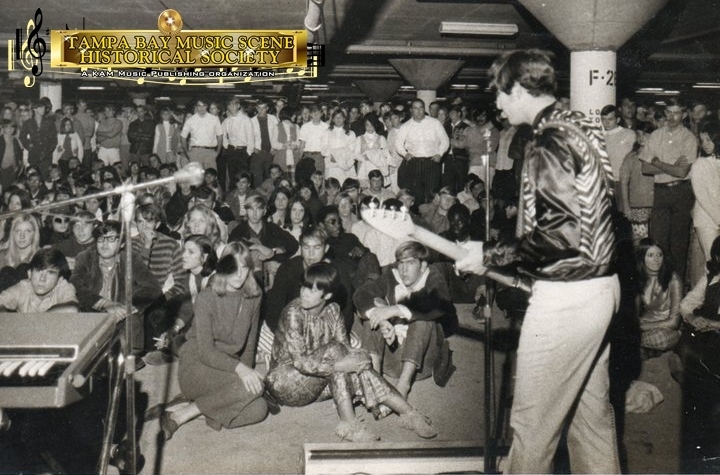 “Infinity's End Performing Live, 1969.” RICHES of Central Florida accessed April 25, 2019, https://richesmi.cah.ucf.edu/omeka/items/show/5466.